A recent report has been produced by the JRC (Joint Research Centre) at Ispra on the assessment of land use impacts of the EU cohesion policy. The report « Direct and Indirect Land Use Impacts of the EU Cohesion Policy. Assessment with the Land Use Modelling Platform », LUMP. 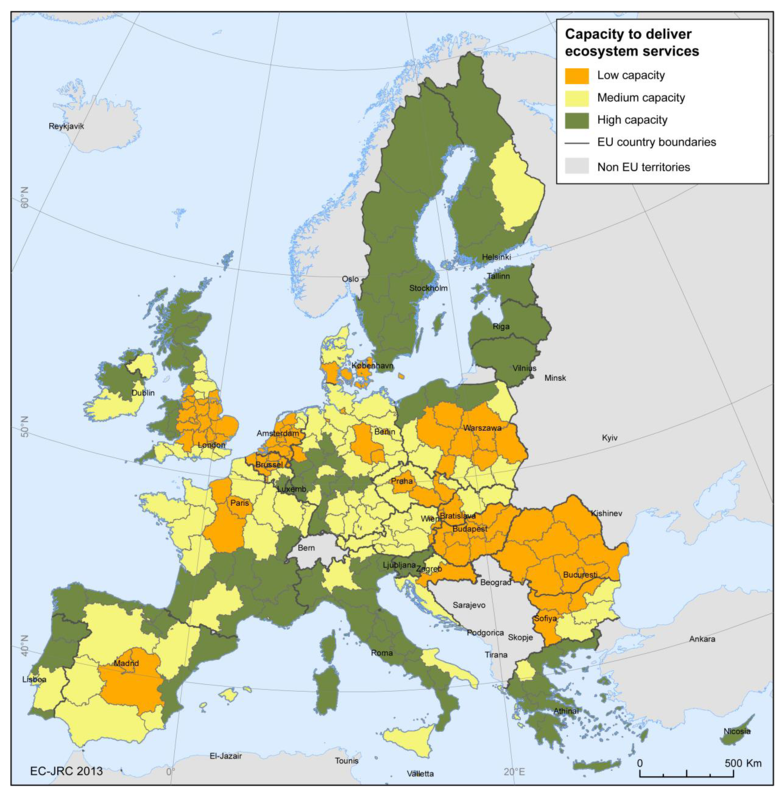 The map extracted from the report illustrates the capacity of EU countries to provide ecosystem services. Such type of indicators are paving the road to further work on sustainable resource management and coherent strategies of ecological transition. LUMP has already been used to assess land use impacts of key environmental EU policies, such as the integrated management of coastal zones, the greening of the Common Agricultural Policy (CAP), the Blueprint to Safeguard Europe’s Waters and the assessment of potential land use impacts of the development of shale gas extraction in Europe.